Designed and calibrated for small cubic-inch engines such as 305 c.i.d and smaller Chevrolet; 302 c.i.d. and smaller Ford and dual-quad applications such as our new RPM Dual-Quad Air-Gap, Edelbrock C-26, F-28 and Street Tunnel Ram. 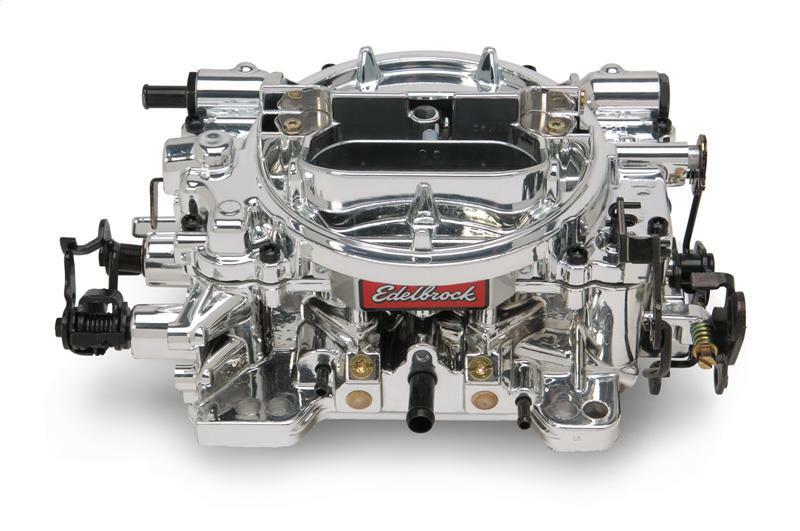 For single carb applications, match with an Edelbrock Performer or Performer EPS manifold or other brands of similar design. Includes both timed and full vacuum ports for ignition advance. #1801/#1802 are calibrated for single-quad applications and factory equipped with: Metering Jets – Primary .86, Secondary .095, Primary Rod .065 x .052, orange spring. #1803/#1804 are calibrated for dual-quad applications and factory equipped with: Metering Jets – Primary .086, Secondary .077; Metering Rods – .065 x .057; #1804: Primary .086, Secondary .077; Metering Rods – .065 x .052; Step-Up Spring – orange (5” Hg). Use Carb Studs #8008 or #8024 if needed. Designed and calibrated for optimum street performance in small-block and some big-block engines. Match with a variety of manifolds that include Edelbrock Performer, Performer EPS, Performer RPM, RPM Air-Gap, Torker II and other brands of similar design. Includes: Metering Jets – Primary .095, Secondary .098; Metering Rods – .068 x .047; Step-Up Spring – Orange (5” Hg). Use Carb Studs #8008 or #8024 if needed. Designed and calibrated for optimum off-road performance in small-block and some big-block engines. 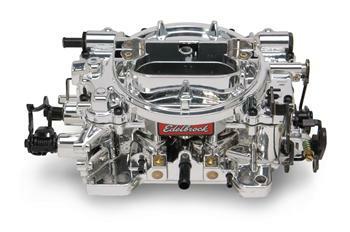 Match with a variety of manifolds that include Edelbrock Performer, Performer EPS, Performer RPM, RPM Air-Gap and other brands of similar design. Includes spring-loaded needles and seats for superior fuel control in off-road terrain. Includes: Metering Jets – Primary .095, Secondary .098; Metering Rods – .065 x .047; Step-Up Spring – Orange (5” Hg). Use our Carb Stud Kits #8008 or #8024 if needed. Designed and calibrated for optimum street performance in high-horsepower small-block and big-block engines. Match with a variety of manifolds that include Edelbrock Performer, Performer RPM, RPM Air-Gap, Torker II and others of a similar design. Includes the following: Metering Jets – Primary .113, Secondary .101; Metering Rods – .068 x .047; Step-Up Spring – Orange (5” Hg). Use Carb Stud Kits #8008 or #8024 if needed.